It’s hard to believe — with all of the developments that have taken place just this past year alone involving Galileo — that this week marks two years since the launch of Galileo Initial Services. 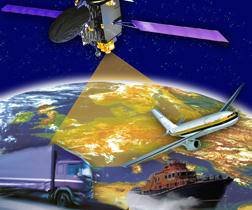 In December 2016, the European Commission (EC), owner of Europe’s GNSS system, Galileo, formally announced the start of Galileo Initial Services, at the time the first step towards full operational capability. Since then, further launches have continued to build the satellite constellation, which has improved the system performance and availability worldwide. Timed to coincide with this milestone, the “Accuracy Matters” campaign, officially launched on December 15, 2018, aims to increase public awareness of Galileo’s successes over the past two years and highlight the added value that Galileo brings to the mass market. Galileo is already improving the GPS signal that your smartphone receives, giving you extra accuracy and precision. Most Europeans are unaware that they are already benefitting from Galileo, but the European GNSS Agency (GSA) says this is about to change. The Accuracy Matters campaign was introduced to the public at European Space Week in Marseille in the first week of December and the campaign officially kicked off this past weekend. The campaign focuses on the fact that a little goes a long way and that today “Accuracy Matters” more than ever before for the latest location-based applications and services. The new awareness-building campaign will include a series of short video clips that give an entertaining glimpse of everyday situations where “Accuracy Matters” to anyone using location data on their smartphones, states the GSA on their website. The videos can be viewed on a dedicated YouTube channel. The clips will be released in all EU languages and promoted on the internet and through social media. A number of milestones with major significance for the Galileo program have been reached since the launch of Initial Services in December 2016. In September 2017, semiconductor developer Broadcom announced the launch of the world’s first mass-market, dual frequency GNSS receiver for smartphones – the BCM47755. This was followed, in June 2018, by the launch of the first dual frequency smartphone – the Xiaomi Mi 8. Now, according to the latest figures, more than 500 million devices — most of them the latest smartphone models — are already Galileo-enabled, according to the GSA. This new campaign aims to make users of these devices aware of the benefits that they can enjoy thanks to Europe’s investment in the Galileo program. Accuracy is particularly important when it comes to emergency response, and Galileo’s increased accuracy is a key enabler in this area. As of March 31, 2018, all new car and light van models sold in the EU have to be fitted with Galileo-enabled eCall devices that automatically alert rescue services in the event of an accident, sending their position. A mere six months later, in September 2018, the first eCall-enabled car, the Volvo V60, was presented to the market. These and the many other ways that Galileo’s added accuracy is benefitting end users will be highlighted throughout the campaign. For those looking for more information about their own devices, and whether their phone or device is Galileo-enabled and already benefitting from Galileo’s added accuracy, they can check the devices that are already Galileo-enabled here: UseGalileo.eu.